The Shingles Vaccine: Should I Get It? Welcome to the next installment in our series on the importance of vaccinations. Last time we talked about immunosenescence, which refers to the weakening of the immune system that occurs when humans age, and influenza. This time we'll take a look at another disease: shingles. Shingles is a viral infection that causes a painful rash. It is caused by the same virus responsible for chickenpox. Common symptoms of shingles include a red rash, pain, itching, fluid-filled blisters, and sensitivity to touch. Shingles is most common in people older than 50, and the risk of developing the disease increases as you age. About one million cases of shingles occur each year in the United States, with more than half of all cases occurring among both men and women ages 60 and older. Shingles can lead to complications such as vision loss, and less commonly pneumonia, hearing problems, brain inflammation, and even death. The best defense against morbidity and possible mortality due to shingles is receiving the shingles vaccine. 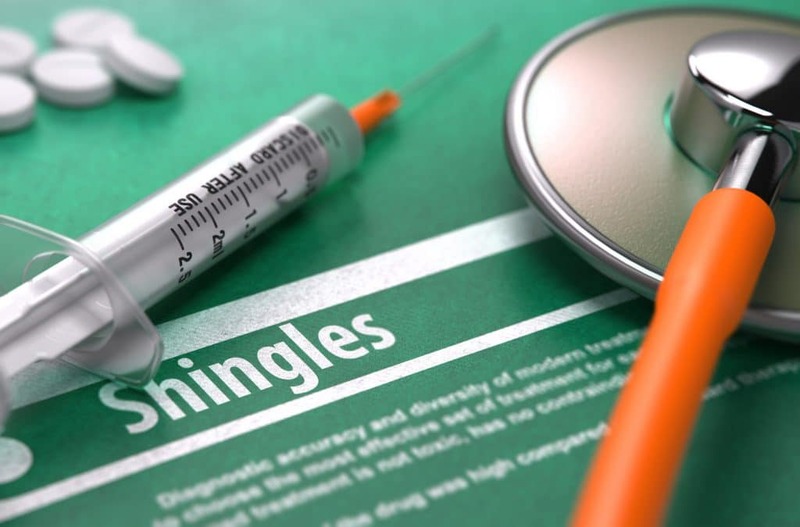 The Centers for Disease Control and Prevention recommends that people ages 60 and older receive the shingles vaccine, as the vaccine reduces the risk of development by 51 percent and postherpetic neuralgia (pain after shingles heals) by 67 percent. There is no maximum age for getting the shingles vaccine, and it is a one-time, one-dose vaccination given through a shot. The vaccine is approved for people ages 50 and older; however, the CDC does not recommend the vaccine in people ages 50 through 59. This is because the strongest protection against shingles lasts for about five years after receiving the vaccine. Therefore, adults who get the vaccine before age 60 will be at higher risk later in their lives. The vaccine is most effective in people ages 60 through 69, but does provide protection for people past age 70. Furthermore, if you have already had shingles in the past, the vaccine will help prevent a second occurrence. Chickenpox does not count as a replacement for the vaccine, so everyone is recommended to get the shingles vaccine even if they had chickenpox in childhood. There is hesitancy among older adults to get the vaccine because there hasn’t been a lot of education about it. However, when you weigh the possible benefit of decreasing your risk by one-half, the case is pretty strong for taking advantage of the shingles vaccine.